It’s not another celebrity chef who’s behind this homey hole-in-the-wall gem, but a celebrity photographer. Singapore-born Russel Wong has taken a break from shooting supermodels and Hollywood stars in exotic climes to manning a rotisserie nestled along a charming stretch of eateries in Mount Sinai. 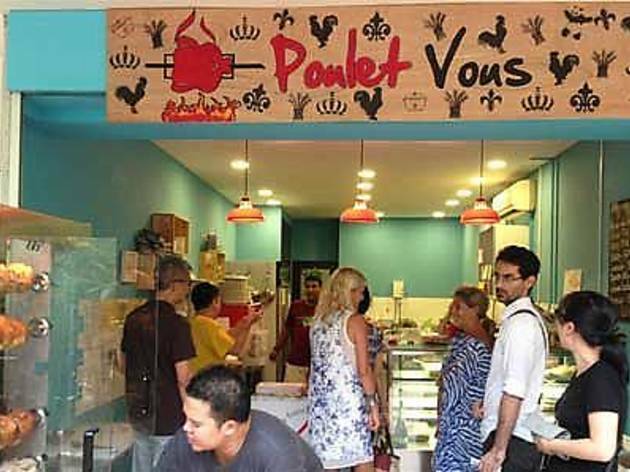 At Poulet Vous (Wong has teamed up with his wife Magdalene Tang), only sakura roast chicken ($27/whole, $18/half) is offered, a throwback to his days of dining at rustic French eateries while covering the Tour de France. Boasting a beautiful crispy skin and juicy, succulent meat after being slow-cooked in the imported rotisserie for two hours, it’s served in no-frills plastic takeaway boxes along with sides of caramelised roast potatoes ($4) and homemade salads such as the orange and beetroot ($9). 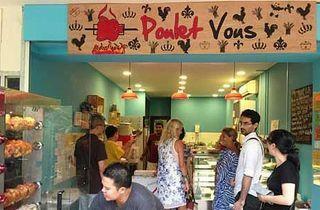 There’s French pastries (from $4) baked fresh on weekends too, but with only two alfresco tables and limited parking, planning to take away might be a good idea.